The history of the Netheim family in Ottbergen, which took its name from the River Nethe in 1808, dates back at least to the last third of the 18th century, and its descendants were established there until the last five relatives were deported in 1942. Gumpert , the earliest known ancestor, lived with his servant Jacob in Ottbergen in 1784; his widow reported the value of his estate in 1788 as 125 Imperial Thaler. About their daughter Gella (Helene) Gumpert (1777-1812) it is known that after her marriage to Seligmann Salomon Eichholz (* 1772) she lived in Willebadessen. Their son Feibelmann Gumpert Netheim (* 1770), however, remained in Ottbergen. He married Brendel Frohsinn (1772-1853), born in the neighbouring village of Bruchhausen, who brought their premarital son Herz (1790–1854) into the marriage, and had four other children with her, of which the youngest son Salomon later founded the Höxter family Netheim. 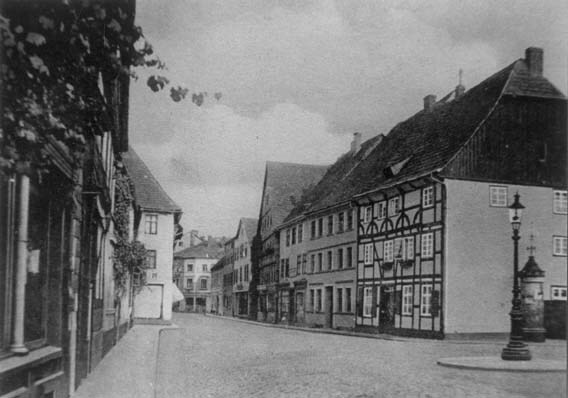 Feibelmann’s older daughter Gelle (1800-1882) lived in Vörden with Jacob Frankenberg (1801-1888) of Löwendorf. Among their descendants is also the branch of the Frankenberg family which later lived in Höxter. Gelle’s younger sister Hanna (Hewe) (1805-1887) bore five children with the Steinheim merchant Simon Hochheimer (1809-1845); of those, the eldest son Abraham (1834-1904) had seven children with his wife Johanna Udewald (1839-1902), who was born in Beverungen. 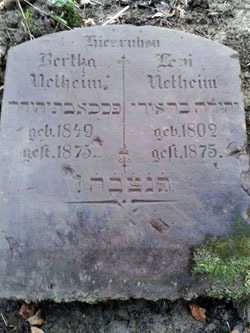 Feibelmann’s son Levi Netheim (1802/04-1875) remained in Ottbergen and had five daughters with Röschen Frohsinn (1815-1875), who was born in Bruchhausen. Four died young or remained unmarried. The marriage of Dina Netheim (1846-1931) to the Schermbeck cattle dealer Abraham Schönbach (1853-1930) remained childless, so they took Ida Marchand (* 1881), a daughter of Abraham’s sister Julie with David Marchand, as a housekeeper and moved with her to Ottbergen in the early 1920s. There they operated an inn together at 8 Brakel Street, as well as trading as delicatessens. As early as 1923, the childless couple chose their niece Ida as their heir, and in 1931 she was adopted by the now widowed Dina Schönbach and was known after that as Ida Netheim-Marchand. 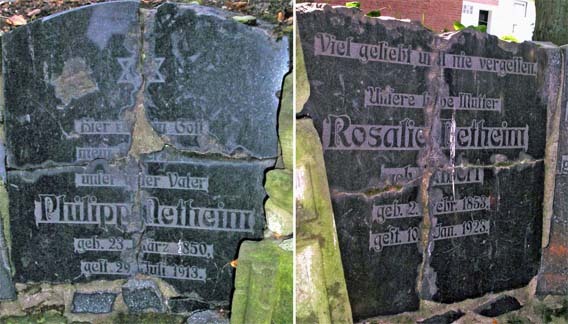 The adoptive parents died in Ottbergen in 1930 and 1931 and were buried there in the Christian cemetery, after which Ida Netheim-Marchand continued to run the inn in the Third Reich. In 1937 she had to dismiss an “Aryan” employee, and on the 9-10 November 1938 pogrom night her house was smeared with the black lettering “Jew”. Together with the other four members of the Netheim family, she was deported from Ottbergen in July 1942 and murdered. The inn’s furnishings were auctioned off in a local restaurant. Feibelmann’s adopted son Herz Netheim (1790-1854) remained in Ottbergen, where he had five children with Jeanette Bernstein (1809-1847) from Borgentreich; their son Salomon (1812-1900) later founded the Höxter family. Although one of their daughters died young, her sister Blondine (Blondchen) Netheim (* 1844) married the cattle dealer Moritz Steinberg (1848-1897) in Kaunitz and it seems that they moved to Österwiehe and Liemke where they had five children, about whom little information is available. 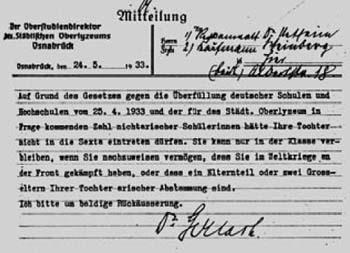 Their son Louis was born in 1882 in Liemke and later lived in Oelde; he was deported to Riga in December 1941, whereas their son Albert (* 1890) was deported first in October 1941 to Litzmannstadt (Lodz) and then in September 1942 to the extermination camp Kulmhof (Chelmno). 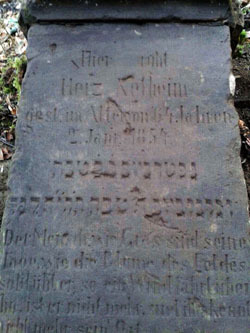 Herz Netheim’s son David (* 1839) had three children in Lemgo with his wife Helena, about whom nothing else is so far known. Their daughter Klara (* 1873) was married in Leer to Sally (Salomon) Rosenberg (1873-1957), a co-owner of the company Wohl-Wert. In 1936 she and her husband were able to emigrate to Palestine, where their daughter Mary (* 1901), who was married as de Vries, followed in 1939. David’s son Julius (1876-1943) became an engineer and was married in Berlin to Paula/Pauline Groeger (1874-1944) of Breslau. Although he had returned from the First World War as a disabled veteran, he was deported to Theresienstadt with his wife in September 1942. He died there in May 1943, while his wife was deported to Auschwitz in May 1944 to be murdered. David Netheim’s daughter Else (* 1881) lived in Herford with her husband, Rabbi Siegmund Goldmann (1878-1935), who was born in Hanover. She was deported to Warsaw in March 1942 with her daughter Ruth Lilli (* 1912), where the traces of both of them are lost. Her other daughter Käthe (* 1908), on the other hand, managed to emigrate to Palestine. 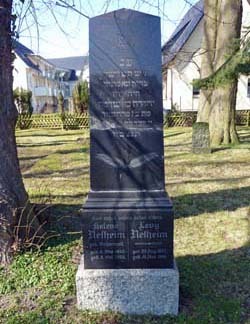 In 1872 Herz Netheim’s son Levi Netheim (1838-1923), still living in Ottbergen, married Lina Victor (1847-1937) of Driburg, and had seven children with her. 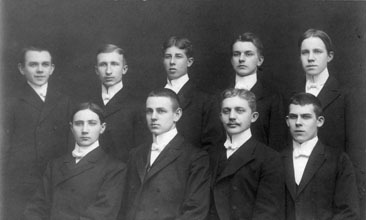 The eldest daughter died after only a few weeks, but the eldest son Hermann (1873-1957) emigrated to the USA in 1892, where he was naturalized in 1901. He later lived in Newark as a laundry owner with his wife Hannah and the two children Selma and Marian, born in 1913 and 1917. In the following decades he returned to visit Ottbergen several times. The remaining five children of Levi Netheim remained in Germany and became victims of the Holocaust. The daughter Rosa Netheim, born in 1877, married the cattle dealer Hugo Weinstein (* 1875), who lived in Jever. In 1936 their only daughter Gertrud (1908-1998) moved to Palestine with her husband Manfred Luss (1905-1986). Descendants are living today in Israel and the USA. The parents remained in Jever at first, from where Hugo Weinstein was probably deported to the Sachsenhausen concentration camp, like all Jewish men after their arrest on the pogrom night. In 1939 the couple sold the house, and they both moved in with a sister-in-law in Hamburg. From there they were deported to Riga on 6 December 1941. No further trace of them has been found. Rosa’s sister Laura (* 1878) also left Ottbergen. She lived with the fodder dealer Moritz Ohmsberg (* 1879) of Deisel (Trendelburg) in Hersfeld, where three children were born. 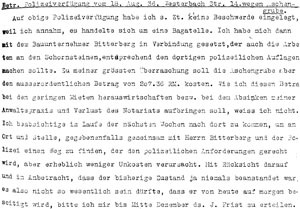 In April 1939, the parents and their second son, Harry (* 1909), went to Frankfurt, from where the mother Laura and her son Harry were deported to Poland in 1942 and disappeared. The father Moritz had apparently already died in Frankfurt. The eldest son Ludwig (1907-1943) was transferred to the Dachau concentration camp following the 1938 pogrom night until the beginning of March 1939 and had to carry out forced labour in 1940 at a brickyard in the Bonames district of Frankfurt. On 11 July1941 he was arrested for allegedly refusing to work, “racial defilement” and disregard of the blackout regulation, transported via the Frankfurt Gestapo prison to the Buchenwald concentration camp and deported just over a year later via the Gross-Rosen concentration camp to Auschwitz, where he was murdered on 17 January 1943. Only the daughter Berti (* 1912) survived the Holocaust. She already moved from Hersfeld to Frankfurt at the end of 1935 and then lived illegally in Berlin from February 1943 to April 1944 until she was deported from there to Auschwitz on 18 April 1944. However, she survived and emigrated in 1947 via Hungary and England to the United States, where she became engaged in 1949 to Fritz Cohn, also from Germany. She died in New York. In 1900 Laura’s sister Beate (Beatha) (* 1875) married Gustav Kugelmann (1872-1934) of Wagenfeld and later lived with him in Bremen, Münster and Bielefeld; one son was born in each place: Erich in Bremen, Hans-Günter in Münster and Ludwig in Bielefeld, where the family lived until Gustav Kugelmann’s death. 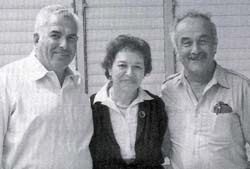 In 1935/36 the two younger sons Hans-Günter (1914-1995) and Ludwig (1916-1992) went into exile in Palestine and later lived as Jochanan Kugelmann and Ari Galon, together with their families, in the kibbutz Maajan Zwi in Israel. Descendants are still resident there today. In 1937, however, the eldest son Erich Kugelmann (* 1910) moved with his mother to Beate’s sister Paula’s house in Ottbergen for over a year, and then went to Bamberg to prepare for emigration. After the pogrom night, he was deported from there to the Dachau concentration camp for a few weeks. After his release he moved back to his mother in Ottbergen before he was able to emigrate to Sweden on 30 April 1939. 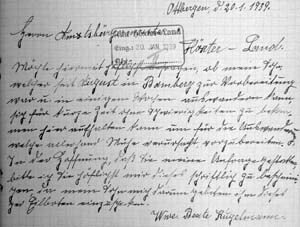 His mother Beate, however, had to stay in Ottbergen, from where she was deported to Theresienstadt on 31 July1942. She died there on 26 December 1942. 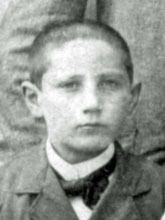 Levi Netheim’s son Julius Louis (* 1883) also left Ottbergen. In 1912 he married Anna Levy (* 1883) in Norden, daughter of the local preacher and headmaster of the Jewish school, and had two daughters with her. At first he was employed by Samson, the grain trader there, but set up his own business in 1926 after which he was a wholesaler of grain, fodder and fertilizer in Norden. He was a member of the board of the synagogue community and was also involved in the Jewish Wanderfürsorge (migrant welfare organisation), which looked after Jewish travellers in transit. Since 1933, the grain trade in Norden had gradually been aryanised and in the summer of 1938, even before the pogrom night, Julius Netheim had to sell the house and the land and move with his wife into a flat. When the Jews were expelled from East Frisia before the Nazi troops invaded Holland, the couple had to go to Ottbergen in March 1940 to join Julius’s sister Paula and in July 1942, together with the other relatives living there, they were transported from there to Auschwitz. The daughter Lotte (1913-2006), who also worked in Norderney during the summer months as a kindergarten teacher, bore a son in Amsterdam in 1934 who was adopted by a Dutch family. Early in 1936 she went into exile in South Africa, where she ran a business in Johannesburg with her husband Werner Salo Aron. After their divorce (1940) she married Heinrich Hahn (1906-1985) of Berlin in 1941 and lived with him in Durban. 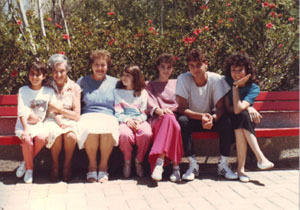 Her sister Ruth (* 1919) emigrated to Palestine in April 1936 with the help of the Zionist youth expatriate organization Alija and at first lived in the Moschaw Nahalal, where she worked in agriculture and learned the language. From 1938 she earned her first money as a tailor and maid. She married Theo(dor) Zadek of Inowrocław (now Poland) with whom she lived in Haifa, and bore two daughters with him. Descendants are living in Israel today. Levi Netheim’s daughter Paula Netheim (* 1881) spent her whole life in Ottbergen. She remained unmarried and ran her parents’ delicatessen at 4 Nethestr. (Nethe Street) into which, in the third Reich, her siblings had to move in turn: Beate (at times with her son Erich) and Julius with his wife Anna. In 1938 the house was aryanised and in July 1942 they were all deported together. Even if the details remain unknown, it is clear that the last five members of the Netheim family who were still living in Ottbergen in the Third Reich were victims of the Holocaust, as were their relatives living in Höxter. 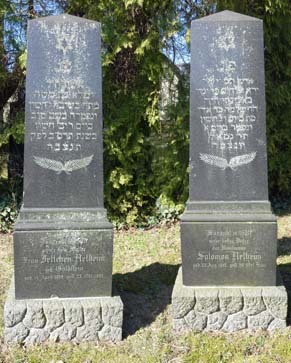 That is because members of the Netheim family had also settled in Höxter, and even today several tombstones in the Jewish cemetery remind us of them. Feibelmann Netheim’s youngest son Salomon (1812-1900), who first settled in Godelheim, No 17 (today: restaurant Driehorst) with his wife Henriette (Jettchen) Goldstein (1819-1901) of Borgholz, not only became the founder of the Netheim family in Höxter, but also of the Nettheim family in Australia, where two of his sons emigrated, and those sons had numerous descendants. Two of Salomon’s daughters died in infancy, and about the daughter Helena (* 1855) it is so far known only that she was the second wife of Isaak Kohn (* 1849) of Sandebeck and that she later lived in Wolfenbüttel. Salomon’s second son, Cosmann/Kossmann Net(t)heim (1851-1907), was the first to emigrate; in 1867 he went to Melbourne as a sixteen-year-old, where he found employment in the leather goods trade of an “uncle” who had also immigrated from Germany. He earned a good reputation, so in 1876 he was sent to Sydney with his colleague John Farleigh to set up a subsidiary there; a few years later that became Farleigh, Nettheim and Co, which dealt in sewing and grinding needs for leatherworking and which soon also added a tannery. 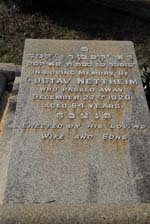 In Sydney, Cosmann Nettheim married Eva Levinson (1855-1920), who was born there, and had eleven children with her, whose descendants are still living in Australia today. 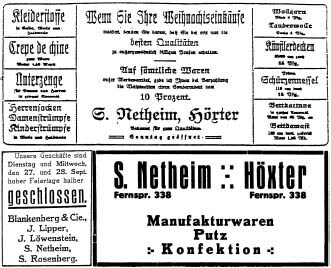 Just as the family continued to grow, so too did the company and, although the children took up other professions, Cosmann Nettheim stayed on as one of the directors until his death in 1907. His will amounted to more than £75,000 (about AU$11 million = US$8.4 million in 2018), and his siblings in Germany were left smaller sums. About 1880 Kossmann’s youngest brother Gustav Net(t)heim (1856-1920) emigrated to Australia and forged ahead there. He had three sons with his Australian-born wife Estelle Cohen (1873-1969), and their descendants live in Australia today. 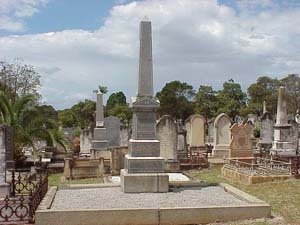 He too lived in Sydney, where he was a director of the bootmaker McMurtrie and Co. Ltd. for 30 years until his death. While two of Salomon Netheim’s sons thus founded the Australian branch of the family in Sydney, the father Salomon moved to Höxter between 1875 and 1880 with his still unmarried sons Philipp and Levy, because the small village Godelheim certainly offered no opportunities for development in the long run. In Höxter the family opened a shop for readymade clothing and fineries, linen and fabrics at the corner of 14 Westerbachstrasse and 2 Rosenstrasse, in which dress and suit fabrics were also exchanged for sheep’s wool supplied by the customers. After the death of their parents in 1900 and 1901, the sons Philipp (1850-1913) and Levy (1852-1919) continued to run the family business jointly. Phillip married Rosalie Albert (1857-1923) of Aachen and Levy married Helene Grünewald (1853-1933) of Borgholz. While the store was apparently run mainly by Levy Netheim and later his son Paul, Paul’s brother Philipp functioned as legal agent looking after the administration in particular, and the management of other assets which included a four-family house at 14/14a Nagelschmiedstrasse and a garden in Brückfeld. 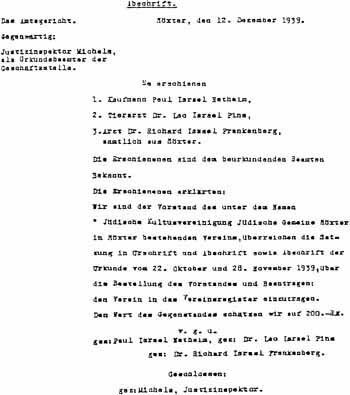 Levy was on the committee of the shooting club; Philipp was a court juror, and the meetings of the Israeli Women’s Association were held at his place. However, they both died fairly young, and so the further running of the business was taken over under the name Salomon Netheim by Levy’s widow Helene. In 1911 Else Netheim (1885-1950), the eldest daughter of Levy and Helene, married the cattle dealer Simon Eduard Meyer (* 1874) of Barge (Oldenburg), with whom she lived in Delmenhorst and bore the children Hans Bernhard (* 1912) and Annelise Anita (* 1917). In the Third Reich the family emigrated to Australia, where they received the support of their relatives. It was similar with Levy’s second daughter Grete Netheim (1886-1971) who in 1934, early in the Third Reich, also went into exile in Australia. 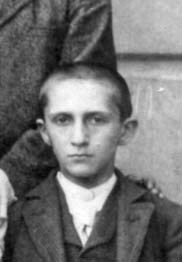 Erwin Netheim (1890-1904), the youngest son of the family, attended the König Wilhelm high school in Höxter, but died at age 14. After Jewish school, the son Paul Netheim (* 1888) attended the KWG up to his one-year voluntary military service in 1906, and entered the business after his apprenticeship in Göttingen and Geestmünde and the death of his father. During the First World War he was deployed as a driver. After returning from the war, he became the manager of the business carried on by his mother after the death of his father, which continued to provide mainly manufactured goods and ready-made clothing. This is shown by many newspaper advertisements. In 1928 he married Sophie Katz (* 1897) of Ovenhausen. However, the marriage remained childless. Until the 1930s, the business had a secure base of operations in the town but, shortly after the start of the Third Reich in 1933, the family offered their houses for sale. It is possible that Paul Netheim hoped to be able to emigrate to Australia like his sister Grete. However, he carried on with the business, even though the windows were soon smeared with whitewash. 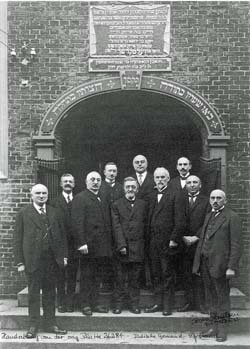 In 1929 Paul Netheim was already elected as one of the heads of the Jewish community for the first time, and he retained that function in the following years as well. At the time of the 1938 pogrom he was imprisoned in the town hall together with the other male Jews, and then taken into “protective custody” in the Buchenwald concentration camp for a few weeks. After this time the Jews could hardly show themselves on the street, and one evening Paul Netheim was badly maltreated. Nevertheless, he remained the head of the Jewish community, which had meanwhile lost the status of a religious community and had been downgraded to a simple club. 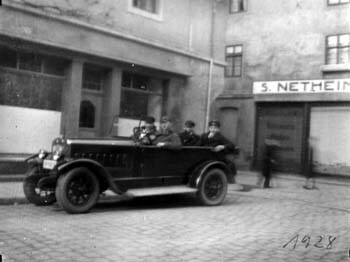 Paul Netheim took this task seriously, as evidenced by the fact that he made his house available to the Höxter Jews as a covert place for gathering and prayer at this time, since the synagogue could no longer be used after its destruction in the pogrom of 1938 and because of the danger to visitors on account of the ban on assembly. 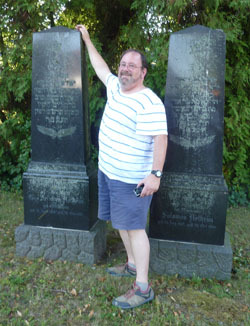 In his capacity as director of the board of the Jewish Community, Paul Netheim led the negotiations when part of the cemetery had to be sold and when the synagogue was handed over to a neighbour. He even had to live through the aryanising of his family home in 1939, and he himself and his wife had to move to the Kaufmann family house at 27 Marktstrasse. And he had to watch his fellow Jewish citizens being deported, one after another, from Höxter to the concentration camps of the Third Reich. In August 1942, with the last group of almost exclusively older Jews from Höxter, Paul Netheim and his wife Sophie were also deported to Theresienstadt, from where Gustav Uhlmann, the only survivor of the concentration camps from the town of Höxter, received one last piece of news about him and his wife in the Summer of 1944. In October 1944 Paul Nettheim and his wife Sophie were brought to Auschwitz at the same time for extermination, and were murdered there. 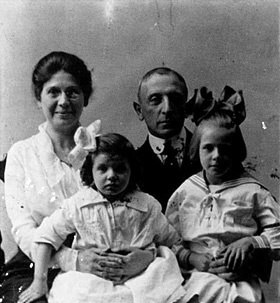 Max Netheim and his sister Emmy, the two children of Levy’s brother Philipp Netheim, also underwent the persecution of the Jews in the Third Reich. But they succeeded in escaping the fate of deportation by fleeing abroad in sufficient time. Emmy Netheim (1886-1965) was married to the Beverungen merchant K/Carl Griesbach (1883-1939?). At the beginning of March 1933, he was dragged to Beverung’s town hall by force because of his bank dealings as alleged by certain localities in the district of Holzminden, and was “physically chastised” in the courtroom. However, he had to be released the next evening, because the allegations were manifestly unjustified. 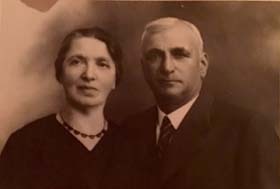 However, this experience induced the family to flee into exile in Palestine in September 1935 with their two children Ilse (* 1912) and Günter (* 1917), where their descendants are still living today. After attending the Jewish school, Emmy’s brother Max Netheim (1889-1949) went to the KWG and took his graduation certificate there in 1907. After that, he completed a law degree in Munich, where he joined a Zionist fraternity in the “League of Jewish Corporations”, which promoted the formation of a Jewish state in Palestine. In the winter of 1908, for example, Max Netheim delivered a speech there on “The Jewish Emigration.” In 1912 he graduated at Erlangen with his doctorate and then completed his traineeship at Altona and elsewhere. In the First World War he came forward as a volunteer, and was a soldier in a Guard Train Battalion. Then he settled down as a lawyer and notary in Osnabrück and opened a flourishing practice. In 1921 he had a son from an extra-marital affair, whose descendants still live in Germany today. In 1922, Max Netheim married Brunhilde/Hilde Kaiser (1898-1994) from Vöhl (the Kassel district), with whom he had the children Marianne (* 1923) and Eva Helene (1927-2012). In 1924 he founded with others a Jewish tennis club that kept going into the Third Reich and had its own tennis court, of which he was a joint owner. In April/May 1933, shortly after the beginning of the Third Reich, a defamation campaign against Max Netheim began, supported by the “Stürmer” (a weekly Nazi anti-Semitic tabloid newspaper at that time) with an inflammatory article. 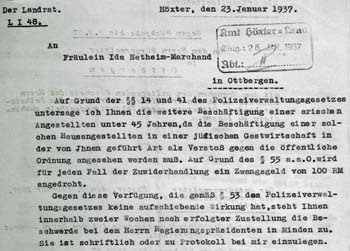 In this connection, the attempt in May 1933 to prevent his daughter Marianne from attending the Osnabrück Municipal Upper Secondary School as a “non-Aryan pupil” can also easily be seen in the notification reproduced here, an attempt that however failed because Max Netheim had been a soldier during the First World War. Despite such events, or perhaps even because of them, Max Netheim, who was already chairman of the local Zionist group in Osnabrück and a staunch opponent of the “liberal” Jews, was elected in 1933 to the executive committee of the Jewish community in Osnabrück. The Third Reich, however, was increasingly calling its financial existence into question. 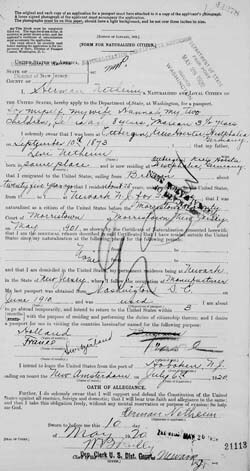 Max Netheim was certainly exempt from the revoking of his permit at court in April 1933 as a former combatant, but in 1935 he lost his license as a notary, and finally on 30 November 1938 followed the inviolable ban on the profession of Jewish lawyers, and the only right they still had was to work as so-called “consultants” for the Jews. 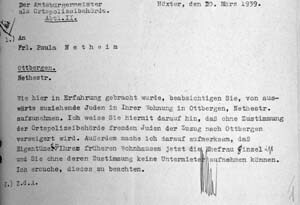 How Max Netheim’s economic situation deteriorated more and more is illustrated by his 1936 correspondence with the town of Höxter, that demanded of him the installation of an ash pit at the commercial building of the family in 14 Westerbachstr. that he had inherited. Like the other Jews, Max Netheim was arrested on the pogrom night and deported to one of the concentration camps for a few weeks. His house was aryanised. In January 1939, the family decided to flee from Osnabrück to the Netherlands and emigrated in December of that year via a refugee camp in Rotterdam to the USA, where Hilde’s (Brunhilde’s) brother had previously fled. Presumably because of the language problem, Max Netheim did not take up his law practice again, but ran a chicken farm in Gloucester County, New York State. His wife, a qualified teacher, worked intermittently as a cleaning lady. He died in 1949 at the age of 60 in New Jersey, his wife Hilde, who was ten years younger, in 1994 in New York. Their daughter Eva (1927-2012) studied art. She became an art therapist and had three children with her husband Sydney Mayro. Her sister Marianne (1923-1990) married Ernst Mendels from Germany and also had three children, of whom the eldest son Allan visited Ottbergen and Höxter in 2013.